This is Courtney from Court's Crafts here with a sequin heavy rattle embellishment. So... every time I saw someone fill a shaker with sequins I thought they were CRAZY for the amount of product they used (I am a sequin hoarder... I have issues)... let me say - it doesn't even dent the amount of sequins in those bottles. Do it. It's darling. Just to show you how thick it is: I cut the rattle 8 times and chose to cut acetate for both the front and the back so you could see through it. See that little black dot? That's actually a little piece of glitter! haha. sneaky sneaky little thing. 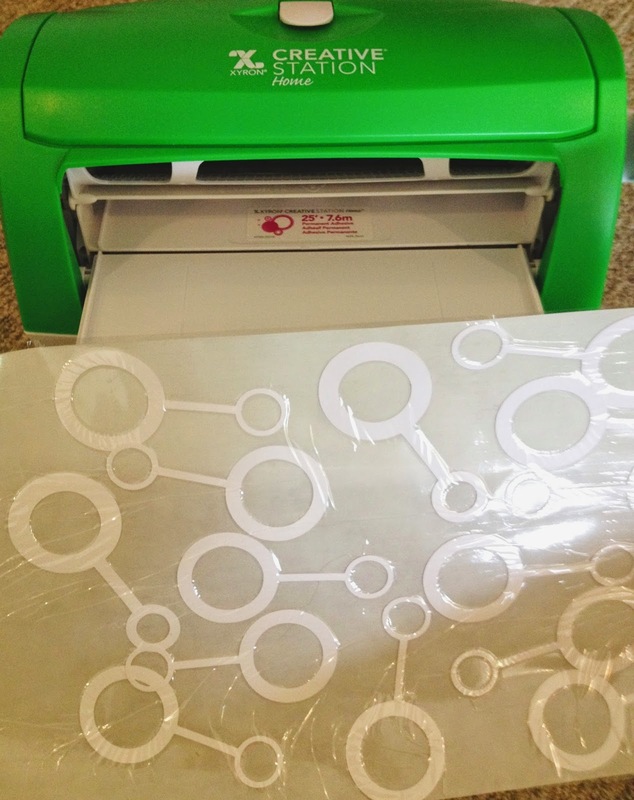 I used my Xyron 9" Creative Station to put the pieces through to make the process faster. 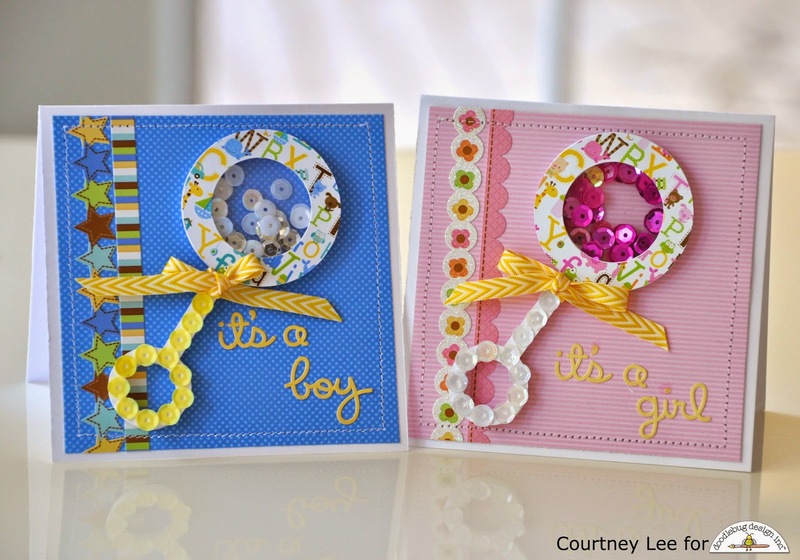 Did you know that Doodlebug has stickers that say, "it's a boy" and "it's a girl"? Doodlebug. makes. life. easy. :) They come in black and white as well. I was going to cut the handles out of a different color but instead I just chose sequins of a different color. So fun! It gave them some extra sparkle and weight. I used my Xyron Teresa Collins Liquid Adhesive to attach the sequins. Here are the little gems (pun intended) all finished. I added two of the fancy frills that were part of these collections to the left side and sewed around the border. Then I just used the sentiment stickers to finish them off! I kept them simple to show off the rattles and what fun they are in person! Aren't these papers from snips and snails - and - sugar and spice so darling.?. Thanks for reading and I cannot wait to see what you do with your Doodlebug sequins!!! Hello Doodlebug friends! 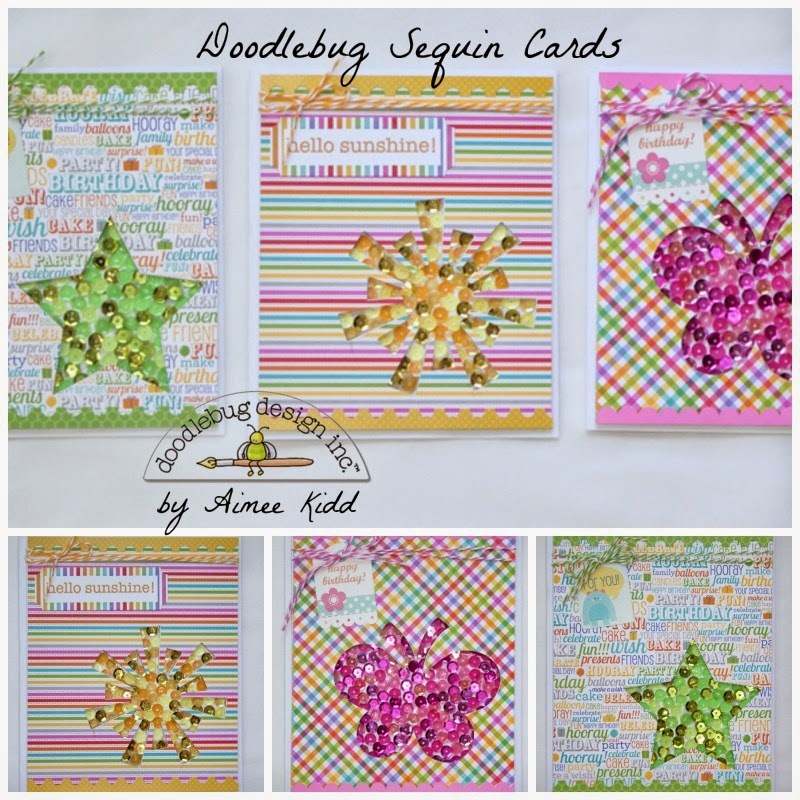 Aimee here with you today and I have my take on how to use those yummy Doodlebug sequins to add lots of flair to any of your projects! I create this trio of cards where the sequins are in the spotlight! 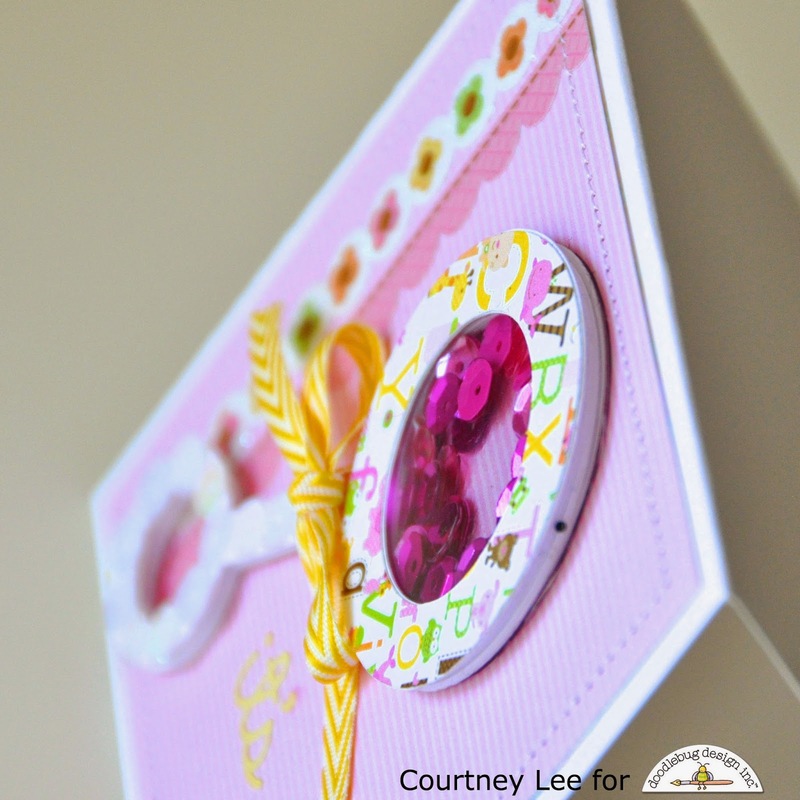 I'll get started sharing with you on how I created these fun cards! 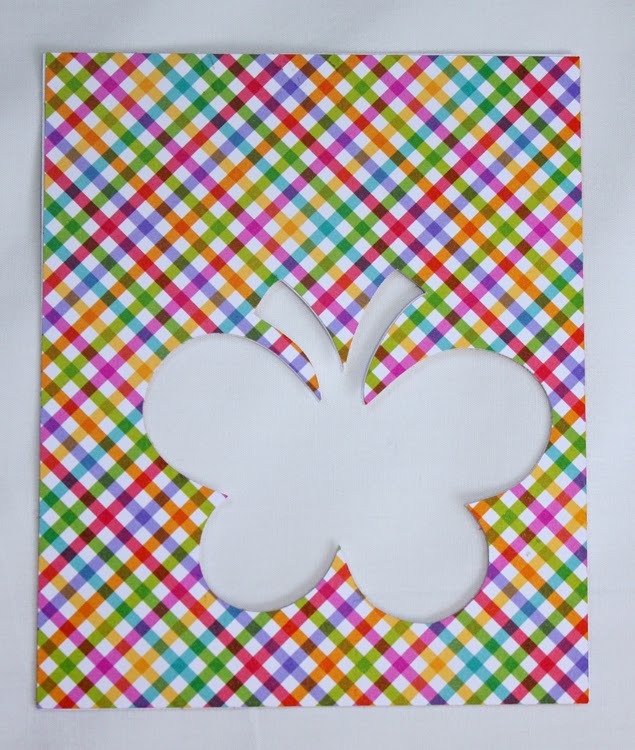 First thing is to chose a pattern paper for the front of your card. I used 6 x 6 paper pads since the patterns are smaller and better suited for card making. I used my Silhouette to cut out the die cut and then cut the pattern paper down to fit the base of my card. 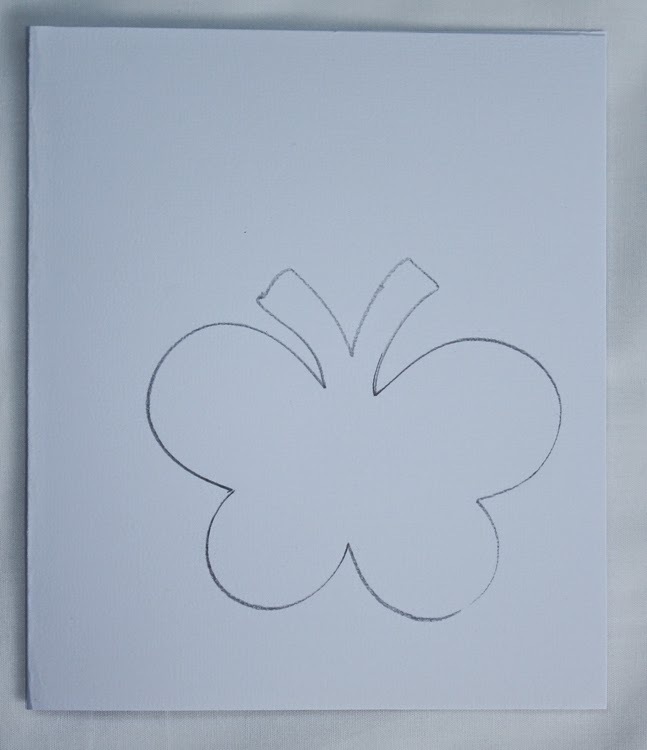 Next step is to trace the shape onto my card base. Then, start filling the shape in by adhering the sequins. Be sure to alternate between all of the different sequins. To adhere them down, I used my Zig glue pen. After all of the sequins had dried, I used pop dots on the back of the (already decorated) pattern paper and adhered it to the front of card base. 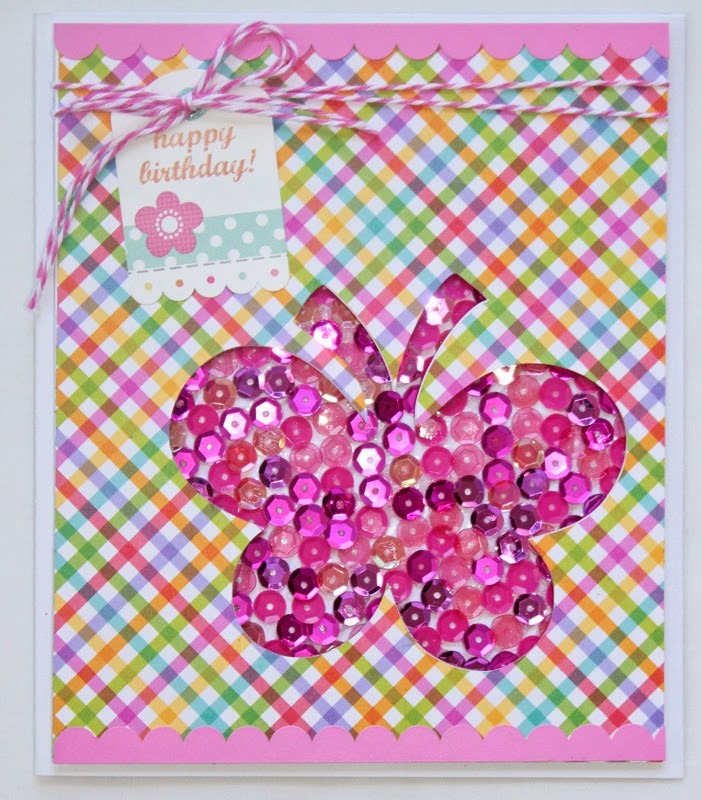 Here is a close up of my butterfly card where I added a Happy Birthday day tag from the Sugar Shoppe collection. Pattern paper is from the Fruit Stand collection and the border strip is from the Fancy Frills (bubblegum) sticker sheet. Sequin color is Bubblegum. This card would be perfect for the birthday boy. 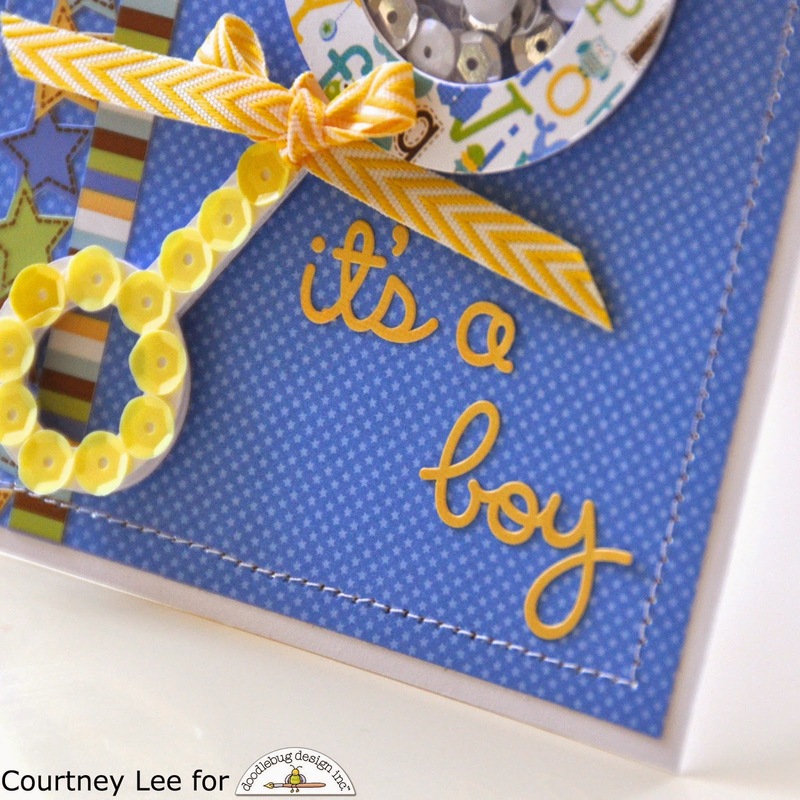 The pattern paper, border strip, and tag are all from the Hip Hip Hooray collection. Sequin color is Limeade. 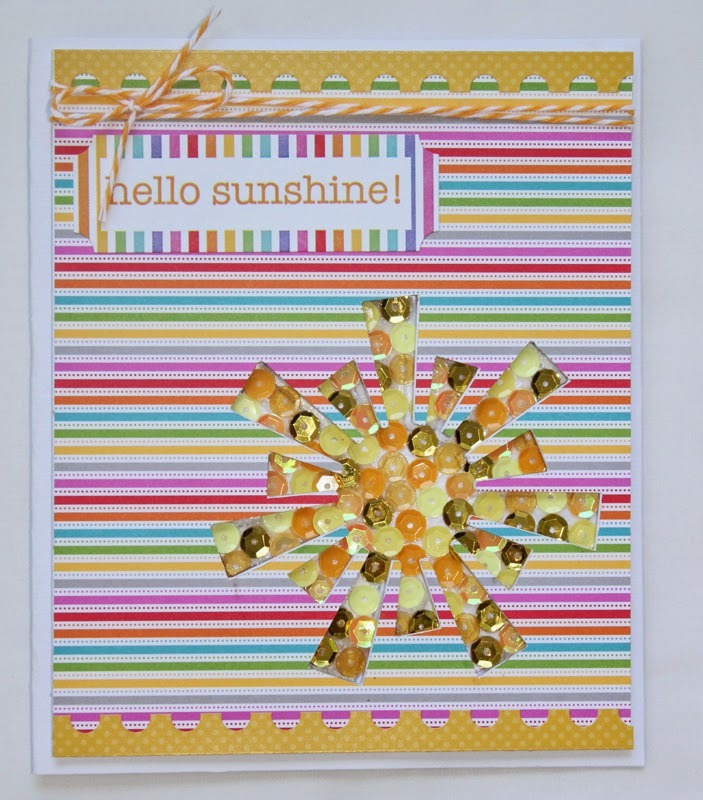 This card is a "hello sunshine" card using pattern paper and border strip from the Take Note collection, and sentiment sticker from the Fruit Stand collection. Sequin color is Bumblebee. 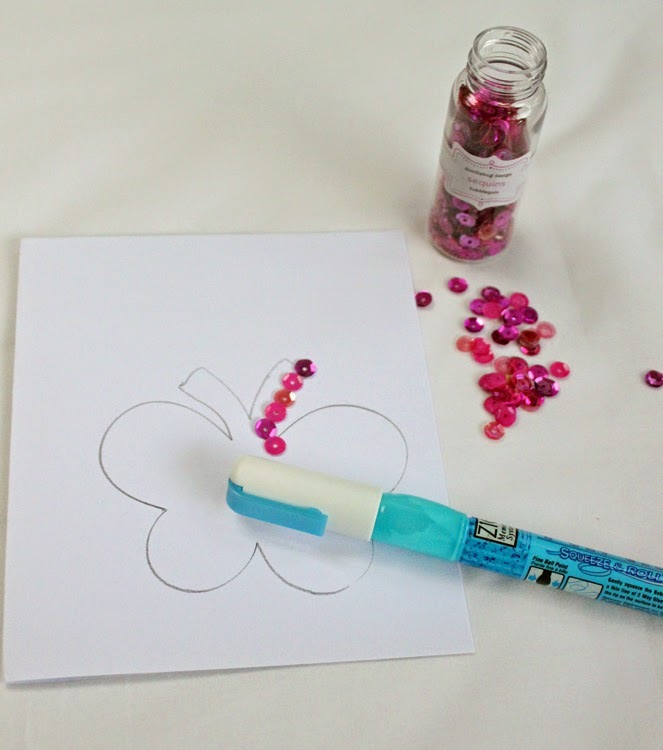 Hope you'll give these wonderful sequins a go on your next scrappy project! Holy Guacamole! What an amazing post today. Gorgeous!!! Awww so cute! What a nice tutorials! Thanks so much!!! I love the sequinned cards! Great idea! And now I have to get into that craft room & try it! SPLENDID & STUNNING cards - LOVE how you have both used your sequins!!! 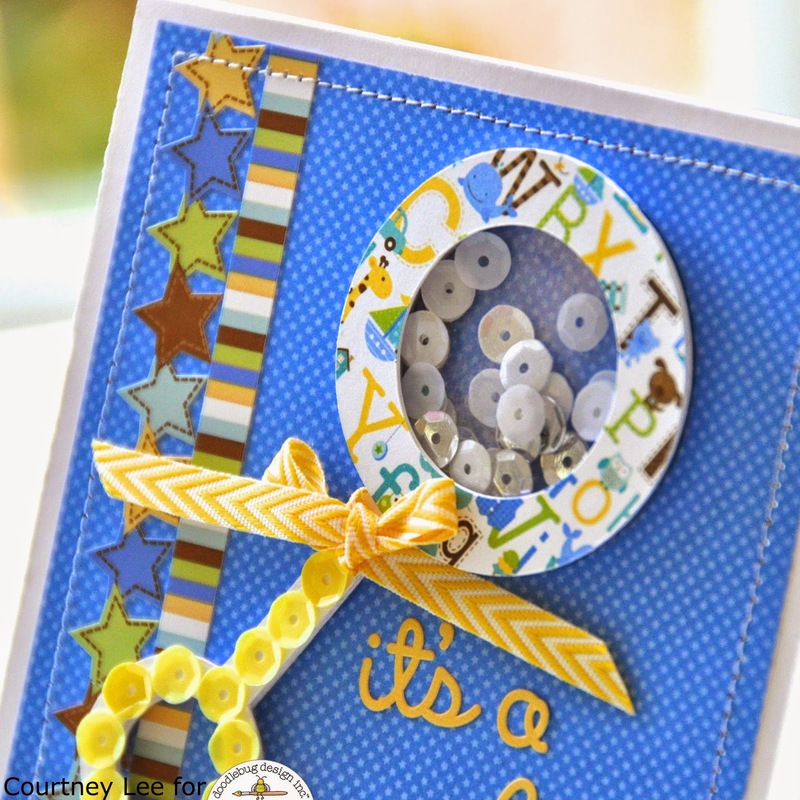 SO CLEVER to use 8 layers of die cut to make your rattle shaker Courtney!!! SO CLEVER filling the background of your window with sequins Aimee!!! Fabulous cards. Just love them. 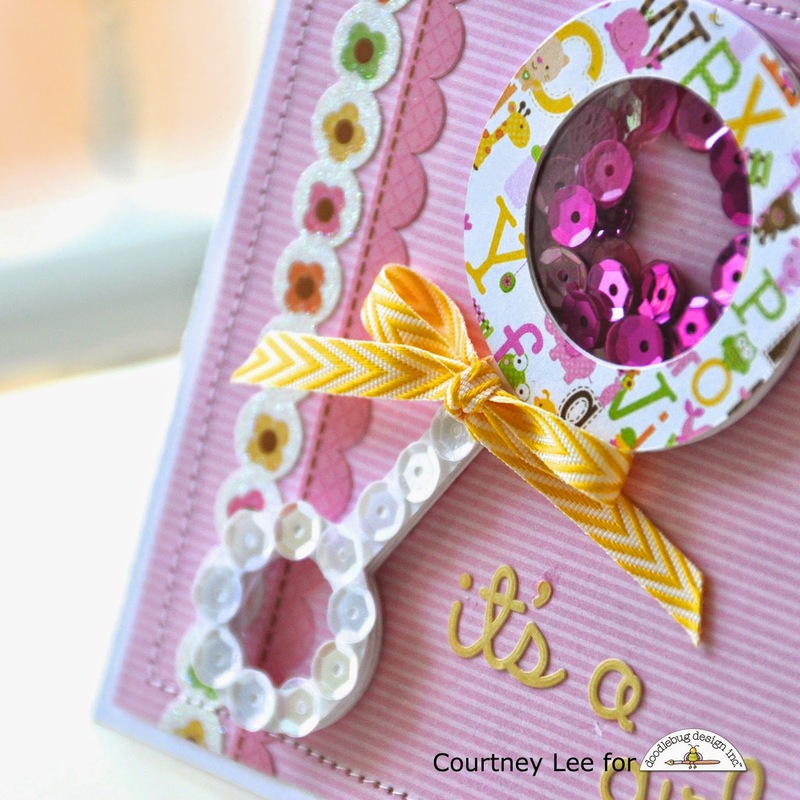 Courtney and Amy - these cards are awesome and I love the bling factor that the sequins bring to your projects!! Thank you so much for sharing your great ideas!! 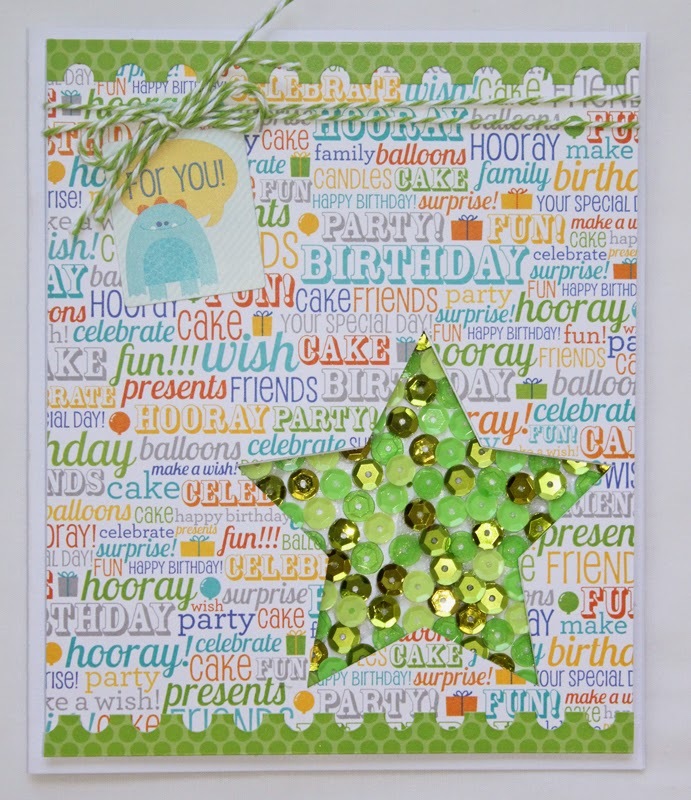 Sprinkle it with Love - Vellum is back!